And Ride Into The Sunset? January of last year. That's when I filed a complaint against Azarga Uranium, the company developing the site, with its regulators the British Columbia Securities Commission. BCSC has regulatory jurisdiction over the company's securities (AZZ.TO) because its stock trades on the Toronto Stock Exchange. The letter I filed detailed several misleading statements that Azarga had just made in a press release that might have caused investors and potential investors to believe that the process was moving along at a pace faster than it actually was. BCSC promptly sent me a form letter acknowledging receipt without further comment and opened a complaint file on the company. I figured, okay, I did my thing, and doubted much would result. Then, wham, the following April, (and I don't claim credit, I'm just providing the timeline) a chastened Azarga released a statement saying that its Canadian regulators, BCSC, were requiring it to "retract," "clarify" and "remove" several statements from its public report ("Preliminary Economic Assessment") issued at the time. market from your brokerage firm. I can tell you that I wouldn't touch it. Partners is currently under investigation by the Securities and Exchange Commission and the U.S. Department of Justice after the arrest of one of its associates for wire fraud. The firm is also liquidating. How that will affect Azarga and its long-stalled hopes of developing its mine in the Black Hills remains to be seen. I'll watch and comment as things develop. "around 9.1 percent." This is so stunningly ridiculous that you have to wonder if the Congresswoman even listens to herself or simply reads from a prepared script without thinking through the words that she's uttering. First off, a 9.1% growth rate in an advanced mature economy like ours is way beyond reach. This is more than twice what Donald Trump claims he can achieve, and he wants to lower corporate taxes (to 15%) by even more than Noem does (to 20%). Trump's draconian cut would at most, by even his reckoning, boost annual growth to 4%. How Noem comes up with her flight into the fantasyland of 9% is something I'd challenge her to support. I can comfortably say that no credible economist would back this up as a likelihood, much less a possibility. infrastructure and educated labor pools, both of which require higher taxes to achieve." The most recent round of tax cuts, early on in the George W. Bush administration, produced nothing in the way of notable economic growth. In fact, GWB's tax reductions in '01 and '03, were followed by one of the most calamitous economic debacles in history. Why and how Noem comes up with the assumption that her notion of cutting taxes will lead to unparalleled levels of economic growth is something I'd like to see her explain. Given the looney-tunes magnitude of her claims, I doubt that Noem can make a serious case. Brazilian Fresh Beef Shipments Began Arriving In The U.S. Last Week. So What's Up With Country Of Origin Labeling, SD Congressional Delegation? months. Bad news for South Dakota cattle producers. That's beef that will push aside the product they'll be marketing during the same period. Even worse news for the U.S. trade deficit. The Brazilian deal will only add to the $1 billion/year difference between beef we export ($5.2 billion/year) and the beef we import ($6.2 billion/year). In a piece titled "Trade Deals Keep Getting Worse", the National Cattlemen's Beef Association journal "Beef" piles it on, complaining not only about the deal itself but adding some cautionary language about safety issues as well. In the meantime this is happening against the backdrop of one of the worst price selloffs in the history of the U.S. cattle market. Slaughter-ready cattle that were fetching $1.70/lb liveweight just two years ago are now trading at a bit over a dollar. This is catastrophic, and the news that our imports of beef just grew substantially only makes the situation tougher to accept. Meantime, our South Dakota congressional delegation (Thune, Rounds, Noem, Republicans all) don't seem to have much to say about the matter. I just googled all 3 of their names with the words "beef imports" and came up with one solitary link: it reported that they all stood idly by last winter and let Country Of Origin Labeling (COOL) die on the vine. It happened during a budget negotiation in Congress when repeal of COOL was slipped into the final bill, no fanfare, no eulogy, no nothing affixed to the closure. The repeal was needed to comply with a World Trade Organization ruling that found COOL to be an illegal protective trade barrier, so out it went. them. That doesn't even take into consideration that 90% of American consumers favor labeling food products with their countries of origin. In general I favor free (and obviously fair) trade, but I don't get how free trade should deny me the chance to find out where my cut of beef came from before I buy it. I'm willing to wager that just about everybody in this country feels the same way. As decisions like these are resolved at the federal level, you have to hope that somebody, anybody, who represents South Dakota in the United States Congress will speak up about this. My many friends in the cattle industry and my family as consumers are stakeholders. We want these labels and we want to know why we can't have them. Amendment R: NO. This empowers the state legislature to determine who will govern our public technical institutes. According to the Attorney General they’re currently governed by the state Board of Regents. This Amendment dismantles the status quo and authorizes the legislature to come up with a new scheme. I can’t support a measure that will blindly entrust the legislature to come up with a plan. Uh-uh. I want to see the plan first. Amendment S: NO. It extends victims’ rights beyond those already guaranteed by current statute. I go with the overwhelming rejection by the SD State Bar Association at its meeting last June, which found the measure to be unnecessary, redundant and costly. Amendment T: YES. This measure will turn legislative redistricting over to a multi-partisan independent commission and do away with gerrymandering (and even the possibility of it) by the legislature once and for all. Amendment U: No. This thing pretends it puts an 18% limit on interest rates, but the “limit” can be ignored if both the lender and borrower agree to higher, unlimited rates. This “limit” is more like a suggestion and this amendment is more like a joke. Amendment V: YES. This amendment will eliminate party labeling in primary and general voting on state and local elections. Party affiliation won’t be disclosed on ballots, meaning that elected officials won’t be beholden to their respective parties when it comes to functioning as our representatives. That I like. Initiated Measure 21: NO. Unlike the phony-baloney Amendment U, this measure does put a real cap on interest rates, limiting them to 36%. It’s intended to put payday lenders out of business in South Dakota because they can’t survive with that lending cap. I don’t like payday lending, but there are a lot of things I don’t like in a free society. I just think IM 21 is too much government intrusion into the private marketplace. Initiated Measure 22: NO. A toughie. I like the elements of government reform in it, including restrictions on lobbying. I don’t like that it creates a public-financing-of-campaigns component. Never mind that we have better things to do with the $12 million taxpayer-funded campaign chest. This measure forces me to let others allocate public money toward candidates that I may abhor. No way. Initiated Measure 23: YES. It’s about non-union workers benefitting from wage and working conditions negotiated by unions. I think it’s reasonable to expect those workers to pay their share of the cost of getting their wages and bennies via union negotiators. They don’t have to pay full dues, but can reasonably be expected to cough up their share of what it took to make their wages happen. Referred Law 19: NO. This will reject a law that passed the legislature making it tougher for independent candidates to clear the primary hurdle and make the general election. Besides shortening up the time frame for petitions to get enough signatures, it won’t let you stray outside your party on a nominating petition, which essentially restricts your voting rights. No fair, no way, no-no to this stinker. Referred Law 20: NO. This will eliminate the minimum wage for workers under 18. We raised the minimum wage to $8.50/hour by a solid majority during the last election. There was no age distinction. Legislators are trying to tweak the will of the voters by removing that minimum for young workers. This is flat out age discrimination and should be rejected. Former U.S. 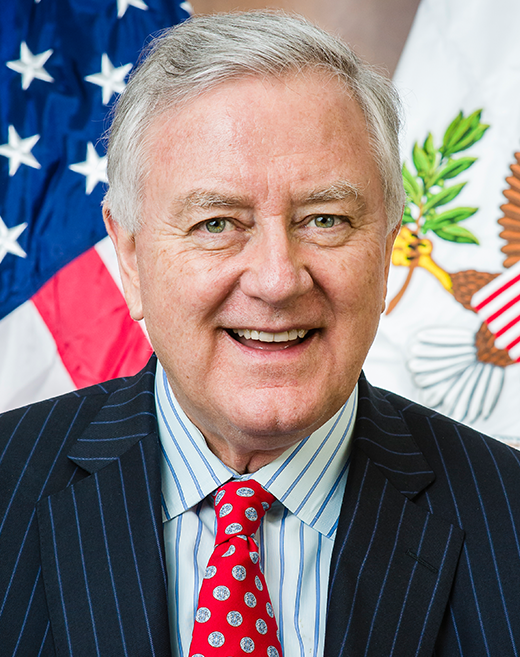 Senator Larry Pressler (R-SD) Weighs In On Our Chance To End Gerrymandering In South Dakota. Big Fist Pump To You, Senator Pressler. out of the hands of “party bosses.” After the voting maps are drawn, they are in effect for ten years. By manipulating a line here or there, the outcome of multiple elections is affected. Party bosses with an interest in the outcome should not have that kind of power. In order to curb corruption and hold politicians accountable, we need to pull back the curtain of secrecy on drawing the legislative maps in South Dakota. We need to create a fair and balanced process because voters should be choosing their politicians, not the other way around. Amendment T improves the way we draw voting maps in South Dakota. It puts voters like you back in charge of elections. Join me and thousands of Republicans, Independents, and Democrats in South Dakota and Vote YES on Amendment T this fall. years. Together we were able to accomplish so many important things for South Dakota and I am proud of our record. Telecommunications Act of 1996 and of the “Pressler Amendment,” which limited foreign countries from using the USA to develop nuclear weaponry. Senator Pressler and his wife Harriet have one daughter and four grandchildren and reside in Gregory County, South Dakota. for office in West River precincts during the coming weeks. Using data from the excellent financial and statistical work put out by Wallethub, you can see that Rapid City — and most likely the surrounding metropolitan statistical area — fares badly (abysmally might be a better word) when it comes to the extent of our uninsured dilemma. I hope that our legislators will consider the enormity of the problem as they mull expanding Medicaid coverage to a sizable pool of South Dakotans, about 50,000, who fall into a "coverage gap" based on making too much to qualify for conventional Medicaid, but not enough to afford coverage in plans created by the Affordable Care Act, aka Obamacare. We need this coverage if Rapid City is to have a chance at improving on its unfavorable status as a health-insurance desert in a country full of cities that measure up far better than we do. Wallethub notes that in a country where the overall uninsured rate is 8.6 percent, Rapid City ranks 444th in a pool of 548 American cities at just under 14 percent. And where most of those cities saw their uninsured rates go down, we watched ours increase by a percentage point, placing us in 541st place. Our children's uninsured rate (15 percent) ranks us at 537th. Among small cities, we come in at 198th. As a whole, South Dakota ranks 18th highest with its uninsured rate at 10 percent. For a state that is constantly scrambling to maintain a labor force that can keep up with any hope of economic growth, so much so that last year Gov. Daugaard dedicated a statewide effort to address and fix the problem, one of the issues seems pretty self-evident to me. We have a low-wage state where a lot of working people can't make enough to afford health insurance. Given a situation like that, why would we expect younger workers, many of them merging into the labor force at entry-level wages, to remain in or relocate to South Dakota? As acute as the labor shortage is here, you'd think our elected officials would make every effort to bring health insurance opportunities into the state. Yet, the collective recalcitrance over expanding Medicaid into South Dakota remains. I think the people who are fighting this thing are so consumed by their hatred of everything Obama that they simply will not consider bringing one of his health-care program's opportunities into our state despite its obvious appeal. For crying out loud, Mike Pence brought Medicaid expansion into Indiana when he was governor. I doubt that there's a more dyed-in-the wool conservative than Pence, who was willing to set aside political obtuseness in favor of fiscal common sense. Our Gov. Daugaard has had a similar epiphany. I hope a corresponding enlightenment descends on our Legislature at next year's session. U.S. House candidate Paula Hawks released the following statement regarding Representative Kristi Noem's support for Republican Presidential nominee Donald Trump. nature in which he brags about sexually assaulting women? These aren't South Dakota values. As I said earlier this year, excusing Trump's behavior by pointing to something you are against isn't leadership. I'd appreciate hearing what about Secretary Clinton's agenda is more offensive or disappointing than electing a racist to the Presidency of the United States. People can have reasonable disagreements about tax policy. Those disagreements shouldn't be equated with using fame to sexually assault women. I urge Kristi Noem to reject Donald Trump and explain in great detail what she actually supported about Trump in the first place. We deserve an answer." Our primeval tax system, one of the most regressive in the United States, is overdue for some analysis and political discussion. As far as I know, none of the Democrats running for office in this state has made tax reform much — if any — of an issue, probably because they're terrified of having to utter the two most reviled words in South Dakota's political vocabulary: "income tax." Yet, any discussion about fairness in taxation in this state has to conclude with an unavoidable reality. Our outsized reliance on sales taxes as South Dakota's principal revenue stream needs to go. Eighty one percent of our state's tax revenues come from sales taxes. Compare that to Minnesota's 42 percent, Nebraska's 47 percent and North Dakota's 30 percent. Structural differences among the states can account for the disparities, but it doesn't change this fact: South Dakota depends on a much larger share of the earnings of lower- and middle-income residents than it does on the money made by those in the higher-income brackets. The non-partisan, non-profit Institute On Taxation And Economic Policy says that in 2015, South Dakota had the fourth most regressive tax system in the United States. Poor and middle-income residents paid, respectively, 12 percent and 8 percent of their earnings to state and local authorities, while the wealthiest paid less than 2 percent. 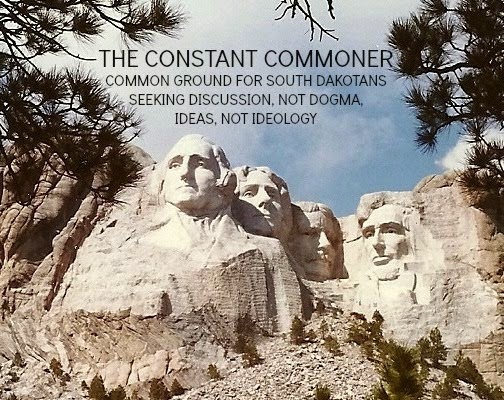 The unfairness is self-evident, yet the "official" South Dakota position seems to be that the status quo, meaning no income tax, is one of our state's most compelling assets. Last spring in his pro forma message to graduating high school seniors, Gov. Daugaard added a pitch to remain in South Dakota, telling them that "without an income tax ... you can keep more of the money you earn," not mentioning that they'd be paying a higher share of their incomes in sales tax than their prospective employers would. USA Today took note of the fact that no income taxes are irrelevant to South Dakota's status as a place to work last year when it wrote that we're the 8th-worst state in America to make a living, adding that we're the second lowest average-income state in the country. Looking at it as an employer of many years standing, I haven't seen much enthusiasm for our no-income tax status among people who want to stay or relocate here to make a living. Our state's chronic labor shortage is acute. Using our “income tax” pitch as a siren song for workers is delusional. It hasn't worked. Meantime, the inequity lingers on. We need to air this situation out, and this election cycle is a great time to do so. I hope challengers will start raising this issue during the next few weeks and use it as a prod against incumbency and the status quo, which has failed to do the job of insuring fairness among our taxpayers.